Umbrella Insurance Kentucky. Does you business need an umbrella excess liability policy? Any company in business in today's modern world is subject to claims of wrongdoing and/or negligence. 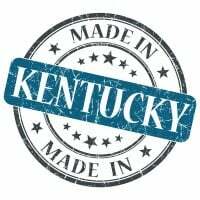 With an KY umbrella insurance policy in place, the fallout from these types of lawsuit is minimized and mitigated. 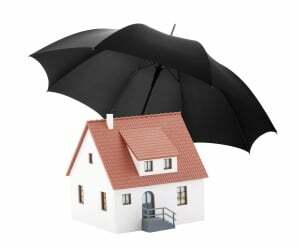 Umbrella insurance Kentucky is excess liability that protects your business from lawsuits with rates as low as $47/mo. Get a fast quote and your certificate of insurance now. Now more than any time in history, people are more than glad to lodge a complaint against a business, even if the complaint has little or even no merit. When an individual feels wronged or jilted in some way, the first thing that comes to mind is to make the company offending them pay. Many people see a business as having deep pockets, even if the business is small and doesn't have a lot of revenue. With business umbrella insurance Kentucky, your business enjoys a heightened level of protection from such claims, and should your business find itself paying an exorbitant amount in a claim, this insurance can be invaluable. A commercial agent working with experiencing writing business policies is a go-to source for getting the right umbrella insurance Kentucky policy. An agent with experience can be helpful in recognizing the risks that your business faces and helping you to find the right level of protection to put a shield between you and potential litigants. These are real world examples of accidents that have occurred and been adjudicated in a court of law. It is impossible to know in advance if an event will occur, which is why an umbrella insurance Kentucky policy makes sense. The policy kicks in to pay any excess liability not covered by your standard business insurance policy. Request a free Umbrella Insurance Kentucky quote in Alexandria, Ashland, Barbourville, Bardstown, Beaver Dam, Bellevue, Benton, Berea, Bowling Green, Brandenburg, Cadiz, Calvert, Campbellsville, Carrollton, Central, Cold Spring, Columbia, Corbin, Covington, Crescent Springs, Crestview Hills, Crestwood, Crittenden, Cynthiana, Danville, Dawson Springs, Dayton, Douglass Hills, Eddyville, Edgewood, Elizabethtown, Elsmere, Eminence, Erlanger, Flatwoods, Flemingsburg, Florence, Fort Mitchell, Fort Thomas, Fort Wright, Frankfort, Franklin, Georgetown, Glasgow, Graymoor-Devondale, Grayson, Greenville, Harrodsburg, Hartford, Hazard, Henderson, Highland Heights, Hillview, Hodgenville, Hopkinsville, Hurstbourne, Independence, Indian Hills, Irvine, Jeffersontown, La Grange, Lakeside Park, Lancaster, Lawrenceburg, Lebanon, Leitchfield, Lexington-Fayette, London, Louisville, Ludlow, Lyndon, Madisonville, Marion, Mayfield, Maysville, Middlesborough, Middletown, Monticello, Morehead, Morganfield, Mount Sterling, Mount Washington, Murray, Newport, Nicholasville, Oak Grove, Owensboro, Paducah, Paintsville, Paris, Park Hills, Pikeville, Prestonsburg, Princeton, Prospect, Providence, Radcliff, Richmond, Russell, Russellville, Scottsville, Shelbyville, Shepherdsville, Shively, Simpsonville, Somerset, Southgate, Springfield, St. Matthews, Stanford, Stanton, Taylor Mill, Union, Versailles, Villa Hills, Vine Grove, Walton, West Liberty, Wilder, Williamsburg, Williamstown, Wilmore, Winchester and all other cities in KY - The Bluegrass State.